A day doesn't go by without one or two doctors across the country calling me and inquiring about Spinal decompression or the DRX 9000. I like to share information and I tell everyone the same thing. 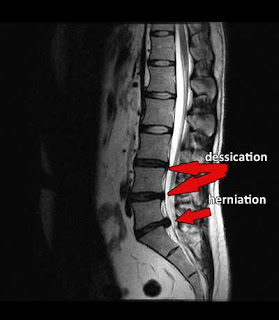 This treatment works it gets people that are suffering with herniated disc and stenosis ands Sciatica out of pain quick,with no drugs or surgery and it corrects the weakened disc and allows the tissue to strengthen and prevents reinjury. All the doctors ask is the DRX 9000 the best machine, and I no not necessarily but they have done a great job branding themselves and patients do ask about this specific table. I spoke with a Chiropractor that bought one used and found that Axiom did not service his table and it was a problem and thet did not even return his calls. I know that if I buy a used car ie: a Mercedes I take it to any dealership if I pay they will service it and sell me parts if I need them. This is not the case with Axiom they only want to sell to there original customers and that's it. In my opinion poor business model. So DRX 9000 is not the only table or only true spinal decompression system, to think that way would be naive. I have had great results with tables that where a quarter of the price! If you are patient and looking for a doctor to do spinal decompression make sure they are proficient in the technique and have an open mind about other treatments like synaptic nerve blocks and cold laser therapy.